Waking up this morning I did my normal eyes filled with sleep look through YouTube that I do every day, expecting to see the normal boring stuff to pop up. This morning was different. Scrolling down to Sega Europe I saw two words that made my lips just turn into a giant grin, with those words being Shenmue & Xbox. 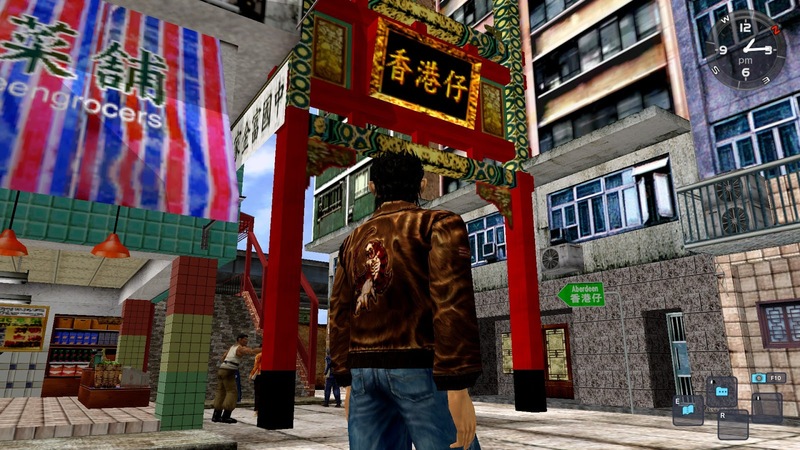 For whatever reason SEGA decided to wait until the middle of the night to announce that both Shenmue I & Shenmue II were coming to the Xbox One (and other formats of course) in 2018, with you able to pre-order this double package of goodness in digital and retail stores very soon. This re-release will stay true to the originals but with modernised features including fully scalable screen resolution, choice of modern or classic control schemes, an updated user interface and the option to enjoy either the original Japanese or English voiceovers. No price details as of yet, but will be sure to let you guys know when that information becomes available. Missed these first time round. People remember them fondly, so I'm looking forward to seeing if they can live up to the hype. I just want my job back on the docks and to play darts again in the arcade.